The BHLDN store is so beautiful. I love the entire ship and always find inspiration in the decor room. 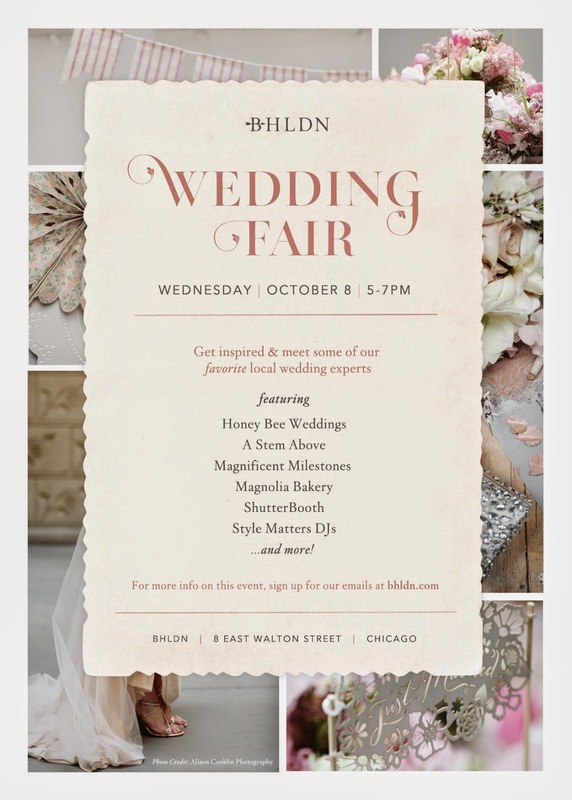 So you can imagine my excitement when asked to be apart of their upcoming Wedding Fair on Wednesday, October 8th from 5-7PM. The event is going to have a ton of fabulous vendors including A Stem Above, Magnolia Bakery, and Magnificent Milestones.